I woke up this morning thinking of two people, Tata Madiba and Dialiita Leita Phakathi. One was an international icon, a Nobel Peace Prize Winner, and a former president and the other was an unknown domestic without a husband or children. Both of them were born in South Africa and were Xhosa. He was born into the Thembu royal family, attended the Fort Hare University and the University of Witwatersrand. She never finished high school though she, like him, wanted to study law and work for her people. I have never met either one of them but both have influenced my life in ways I could have never imagined. In 1995, I led a group of college students to South Africa to work in Acornhoek, building houses and teaching children. We knew that Nelson Mandela had been free for three years and that he had been working with de Klerk to organize a democratic election in the country. We were excited and anxious to see if and how the country had changed since his release. There were ten of us in the group: seven African Americans (six women and one man), two white women, and one Asian American man. When the plane landed in South Africa, we clapped and cheered as some people kissed the ground and others begin to cry. Our host was Geoff Phakathi, a South African freedom fighter, a teacher, and a self-proclaimed rebel. He was six-feet tall and had a loud voice and a delightful habit of saying “boom” at the end of every sentence that he thought was significant. “We will have democracy in this country or we will all die trying. Boom!” or “I will drive you by Winnie’s house and if you yell loud enough she just might come out and tell us to go away. Boom!” I loved him as soon as he started calling me sister and welcoming me home. “Since you black Americans don’t know where you’re really from,” he told me, “you might as well claim South Africa. Boom!” He took us everywhere, from the shanty towns of Soweto where we witnessed cows and children drinking from and using the bathroom in the same stream to the all white neighborhoods of Johannesburg where most of the houses had an armed black guard sitting at the front gate. Right before we left the country, after introducing us to Nadine Gordimer and some of his fellow rebels, he told me that he needed a favor. His sister, Leita, had passed away many years ago and instead of throwing her passbook into the fire, he had decided to keep it as a way to remember her. He wanted me to take it back to America, a place where she had always dreamed of visiting. He said that I reminded him of her and that I was doing and had done so many of the things that she had always talked about. “Keep her memory alive,” he said that night while wiping tears from his eyes, “and if there are times in your life when you think of giving up and letting go, think of Leita, and just hold on a little bit longer because help is on the way. My sister wanted to be there when Madiba was released so she could greet him and thank him, since she couldn’t, I did it for her. 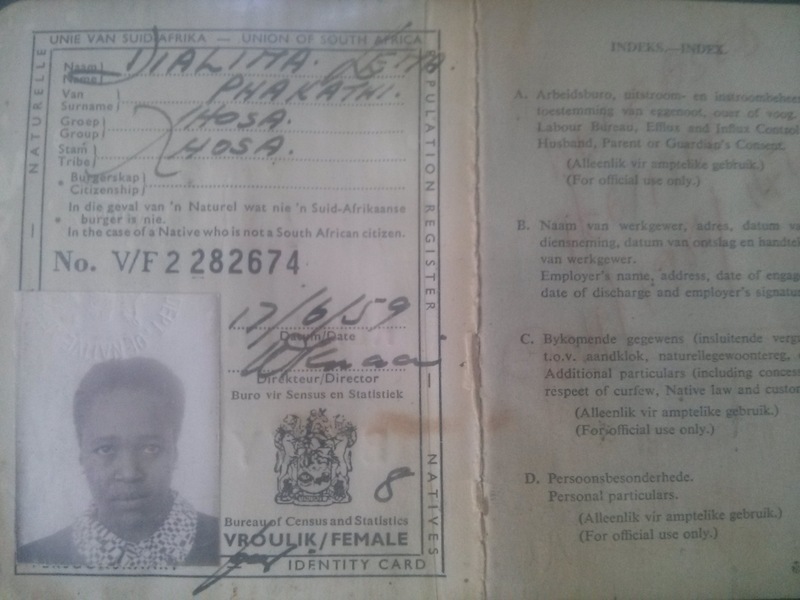 Every time I thought about letting go, I thought about Leita and just held on a little bit longer.” I keep her passbook on my wall as a reminder of what true struggle looks like and what it means to hold on just a little bit longer. There are only a few days that go by where I do not think about Nelson Mandela. I keep a picture of him near my computer as a reminder of what sacrifice and courage look like. I thought about him this morning and about how—unlike our leaders (Martin Luther King, Jr., Malcolm X, Medgar Evers, George Winston Lee, Jimmie Lee Jackson, to name just a few)—he lived for such a long time. He was 95 years old! Over the years, we have watched as he has grown older and matured. We laughed and cheered when he walked out of prison with Nomzamo by his side and his fist held high. We prayed for him and his safety during the first democratic election when he became the president of a country that had imprisoned him for 27 years! We cried with him and sometimes (and I think now of the “Free Mandela” movement) we cried for him. Mandela is one of the few people that I wish I could have met. I am sure that like many others, I probably would have just sat there without saying a word, happy to be in his presence. I grew up admiring Dr. King but I became an activist because of Madiba. I studied black history because of Barbara Jordan but I studied African history because of Madiba. I traveled abroad because my father urged me to go but I traveled to South Africa because I felt as if Madiba was calling me home. What I admired most about him was that he was not a mythological figure. He did not walk on water or perform miracles. He was a man and like all men he was flawed; but, it is in his flaws where we find hope because if he could forgive his captors and oppressors then so could we. In 1990, while I was studying abroad in Kenya, I remember reading about the Soweto uprising (16 June 1976) and about all of the men, women, and children who died on that day, the nameless and faceless foot soldiers who gave their lives (willingly and in many cases, unwillingly) in the struggle to end apartheid. I realized then that this was probably going to be Mandela’s reality if he were ever released. He would be working to build a new political and social system while others, were either openly or secretly working against it and him. Despite the increasing violence and horror and the passing of the years, Mandela stayed the course, pressing forward toward the mark to finish the race. 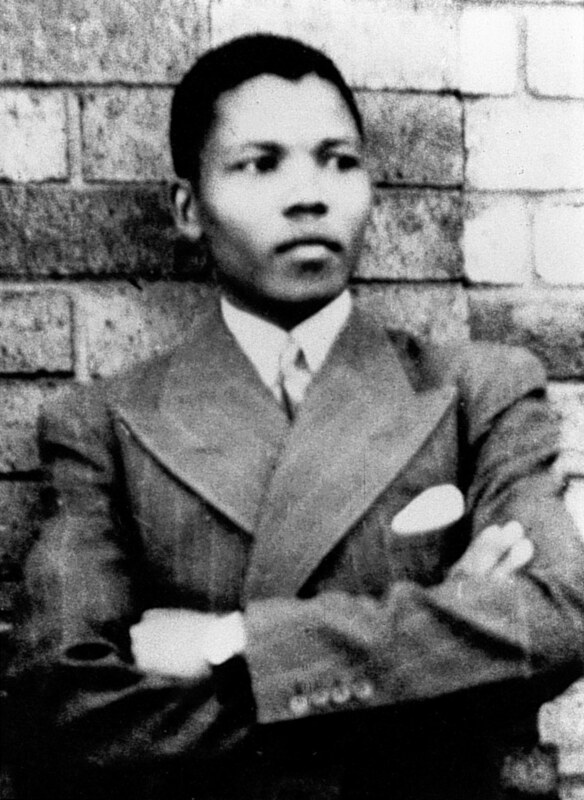 When I used to teach my sons about Mandela, they wanted to know how one man was able to move an entire country beyond apartheid and hatred and violence to a place where they could unify and become one nation. I told them that this change never would have happened if Mandela had worked alone. Apartheid would not have ended, democratic elections would have never been held, and the violence would never have stopped. It took the effort of many, encouraged by the commitment of just a few, for real change to take place. Sometimes I wonder what it would take to move our country to a place where racism and discrimination are things of the past, not just in policy but in practice and even more important, in the hearts and minds of all of America’s children. We, as a nation, have moved beyond Jim Crow. We have moved past the marching and the singing. We have seen African Americans prosper and aspire and ascend to some of the highest offices in the land; but, on quiet Sunday mornings while my sons are still asleep, I wonder how much we have changed and whether or not we are still committed to changing. We have so much work to do in this country and unfortunately, we do not have (and have not had for a very long time) a Tata Madiba—a man or a woman who is willing to put everything on the line to push, encourage, cajole, and force our nation to reach a place where all doors are open, all hearts are able to sing, and men, women, and children of all races can find a resting place. There are some who believe that the days of having just one leader have come and gone and although I agree with them, there is a small part of me that longs for one person to unite us all and lead us in the same direction. I mourn for both of them: for Mongi omkhulu Leita who never experienced a day without apartheid, never had a chance to vote, move freely through her county, and whose life ended far too soon; and, for Tata Madiba who moved mountains, changed lives, ran the race, and stayed the course. I would recommend writing something everyday and using your other forms of social media (facebook, twitter, etc) to share your updates. The goal is to build a following and once you do, reward them by constantly updating your blog with new information. Hope this helps!